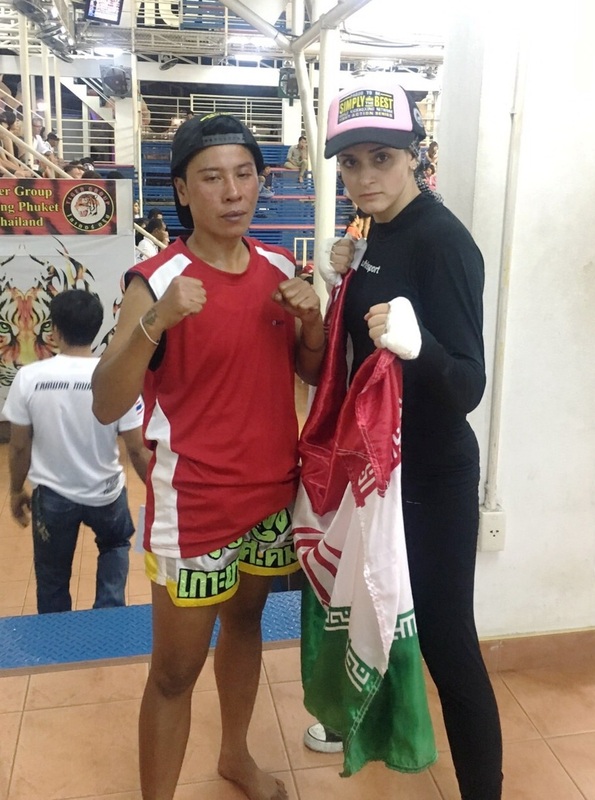 Iranian Faezeh Jahanpirouz defeats Thai Satar Pong and earns the WKN super flyweight women’s muaythai Asian title on the 23rd of July 2016 in Phuket, Thailand. Faezeh Jahanpirouz aka ‘Queen of the Ring’ is a 29-year-old fighter from Iran. She updated her record to 16-3 taking the first round victory over Satar Pont. The challenge was for the WKN super flyweight championship of Asia. Fightmag – Starting in 2016 the WKN promotes the shows in Thailand. The events are organized by Vicharn Areerob and Preechar Areerob. Sport specialists from Iran assist the collaboration. The project aims to see international athletes competing on Thai soil. The title of the Champion of Asia is for grabs. Rawai Stadium in Phuket held the debut show. The headliner saw Tofan Pirani fighting Kendam Suthai of Cambodia. Pirani took the first round knockout victory. In addition, the WKN world office is currently in negotiation to host a vast TV production of Simply The Best series in Thailand.